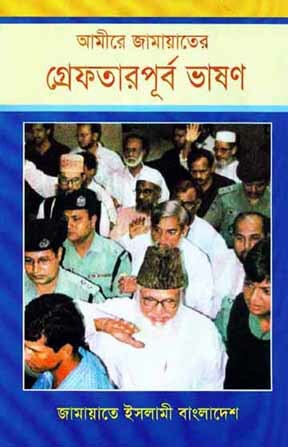 Historically fact, Jamaat-e-Islami has a great contribution in all steps towards democracy in Bangladesh. In the interest of the people and state Jamaat raised its voice first. Besides these, it took part in almost all national and local level elections within the constitutional framework. And, its MPs vigorously participated in the parliament with people interest issues. Party leadership was significantly people oriented. 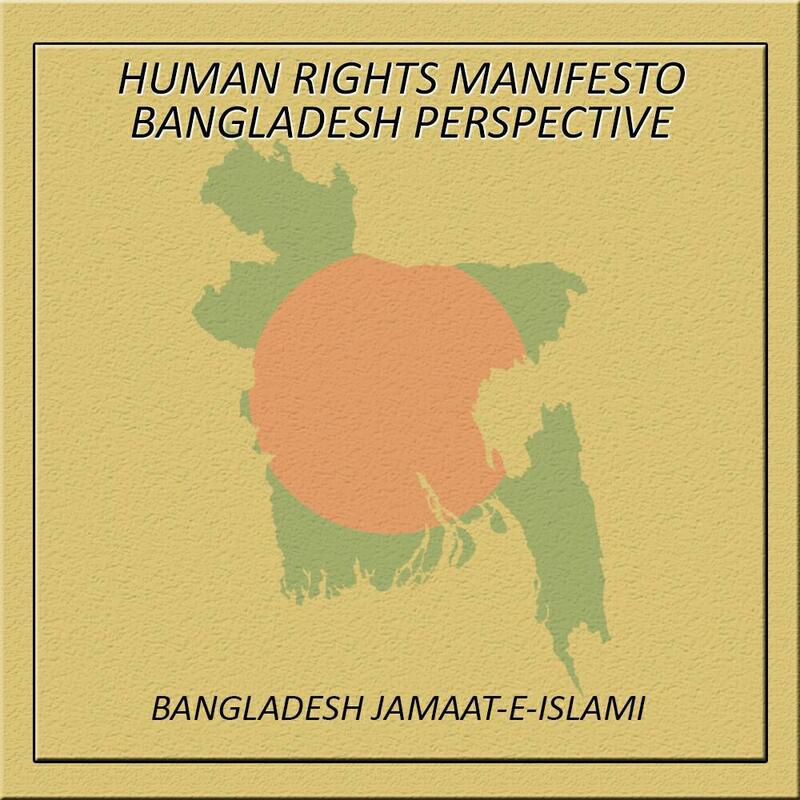 Consequently, Jamaat had faced a number of politically harassment, repressions, oppressions and persecutions. Hundreds of its activists have sacrificed their lives and thousands have received severe injuries in different democratic movements. Thousands of leaders, workers and supporters are in jail and facing politically biased judicial process. Thus these activists have been suffering from mutilated life. In-spite of bounty impediments, it is fighting for democracy and voting franchise. Proclamation of independence extensively confirmed the basic principles of the newly born state – (i) Equity (ii) Human dignity and (iii) Social Justice. But aftermath of independence Bangladesh Parliament (actually the Members of that Parliament were elected for framing a Constitution for Pakistan) passed a Constitution with provision of banning religion based political parties. This Constitution also enacted a Westminster model of democracy for Bangladesh. Unexpectedly, in 1975, by fourth amendment in the Constitution, all political parties were banned and one-party system was established. On December 15, 1978, by a proclamation order, President Ziaur Rahman abolished one-party system and restored the multi-party democracy in the country. Before this, on May 04, 1976, by a proclamation order, Article 38 of the Constitution was omitted and abolished all sort of embargo on religion based politics in the country. Referendum held on May 30, 1977 for people verdict on the proclamation orders issued by President Ziaur Rahman. An overwhelm support to the proclamation orders removed all hindrances to form a political party based on any religion. On August 24, 1976, the then political leaders of Democratic Party, Nejam-e-Islam Party, Khelafat-e-Rabbani Party and Jamaat-e-Islami formed a new political platform titled as “Islamic Democratic League” (IDL). A central committee of IDL was formed with Maulana Siddique Ahmed of Nejam-e-Islam Party as its Chairman. MaulanaAbdur Rahim and Advocate Sa’ad Ahmed from Jamaat-e-Islami became Vice-presidents and Advocate Shafiqur Rahman of Democratic Party became its Secretary General. IDL participated in the national election, 1979. Second parliament election was held on February 18, 1979. In this election, newly formed Bangladesh Nationalist Party (BNP) secured 207 seats (out of 300) where Bangladesh Awami League (BAL) won 39 seats and Muslim League secured 14 seats. Six members from Bangladesh Jamaat-e-Islami nominated by IDL won six seats in that election. This was the first participation in parliament election. A convention was held on May 25-27, 1979 at Hotel Eden, Dhaka; called by the prominent Islamic scholar Mr Abbas Ali Khan. Around 450 persons gathered in this convention for launching an Islamic party named Jamaat-e-Islami Bangladesh. A draft constitution of the organization was placed before the audience and they adopted it. Subsequently, Jamaat started journey with its four point program. In mid of 1980, Professor Ghulam Azam, the then Ameer (Chairman) of Jamaat-e-Islami placed an outline regarding non-partisan caretaker government system (CGS) for a free and fair election before the party central working committee. On December 7, 1980, the then acting Ameer of Jamaat Mr Abbas Ali Khan placed that outline before the nation in a press conference in Ramna Green. Chief of Army Staff (CAS) Lt-Gen. Hussain Muhammed Ershad toppled down the elected President Justice Abdus Sattar and proclaimed Martial Law on 24 March 1982. It was unjust military seizure of state power and it suspended the Constitution and the political parties. Bangladesh Awami League (BAL) and Bangladesh Nationalist Party (BNP) formed 15 and 7 party alliances respectively for stepping down Gen. Ershad to restore the Constitution & democracy. On 28 November 1983, both alliances jointly called a program for sieging Bangladesh Secretariat. People had a very small response in that program. Subsequently Gen. Ershad made his position solider and excluded all political activities in the country. Liaison committee of Jamaat made active link with both the parties and leaders; especially Begum Khaleda Zia and Sheikh Hasina. They clarified Jamaat’s position on this sort of program. They also requested the opposition leaders to avoid undemocratic process. Leaders of both alliances agreed with Jamaat’s appraisal and they started keeping contact with it. Recurrent meetings between Jamaat and both alliances carried out for strengthening democratic movement. On December 11, 1983; the then Chief of Army Staff Gen Ershad himself declared president of Bangladesh by ousting president Justice AFM Ahsan Uddin Chowdhury. The third parliament election took place on May 7, 1986 where Jamaat participated with its own name and nominated 76 candidates. Jatiya Party (JP) formed by Gen. H M Ershad secured 158 seats and Bangladesh Awami League (BAL) secured 96 seats. Jamaat secured 10 seats where Jatiya Samajtantrik Dal (JSD) secured 4 seats, other parties won 10 seats and independent candidates secured 22 seats. Jamaat participated in the national election for second time in direct and indirect way. It was not a free and fair election but had a huge deception. In 1987, a united movement geared up against the military junta and subsequently 10 MPs of Jamaat submitted their resignation letter to the Speaker. MPs of Bangladesh Awami League (BAL) affirmed that they would resign as well. Due to foreign tour of its leader their avowal was not materialized. On December 6, 1987, HM Ershad dissolved the parliament. It made discomfiture to Bangladesh Awami League along with some other political parties. On March 3, 1988, the fourth national election was held but political parties involved in anti-government movement shunned that election. In question of the participation in the parliament election of 1986, a faction of 5 parties under the decision for non-participation in the election left the 15-party alliance, which formed later an independent 5-party alliance known as radical leftist in Bangladesh politics. Ultimately Bangladesh Awami League (BAL) led an 8 party alliance. In October, 1989, this 8 party alliance, BNP led 7 party alliance and leftists’ 5 party alliance; decided to move ahead to ensure an election under a caretaker government system originated by Jamaat. Thus anti-Ershad movement highly energized. Although it was late, the demand for a caretaker government initiated by Jamaat became a national call. On November 19, 1990, in their rallies 8 party, 7 party and 5 party alliances and Jamaat separately announced their outlines on non-partisan caretaker government system (CGS). On November 27, 1990, state of emergency was declared all over the country and curfew was imposed. Students and mass people broke down the curfew and came out with number of processions in Dhaka city. On the fire of movement, on December 6, 1990, the military dictator Gen. Ershad handed over the power. Military tyranny was over, Justice Shahabuddin Ahmed became the President of the interim government and that is still considered as the first caretaker government of Bangladesh. On February 27, 1991, the fifth Parliament Election was held where BNP secured 140 seats, Awami League secured 86 seats, Jatiya Party (Ershad) won 35 seats, Jamaat-e-Islami secured 18 seats and other parties secured 19 seats. Jamaat participated in the parliament election for the third time. Fifth parliament was a hanged one until the female MPs were elected. No party had requisite 151 seats for forming government. BNP needed 11 seats and BAL was far away to power. The calculation was that “BAL 88 + JP (Ershad) 35+ others 19 = 142 seats”, still behind 9 seats BAL could run for forming government. Jamaat was the only crisis meeting instrument. Neither BNP nor BAL could form government without support of Jamaat. In this milieu, Sheikh Hasina sent Amir Hossain Amu, a senior leader from the party to a senior leader of Jamaat- Ali Ahsan Mohammad Mojaheed. 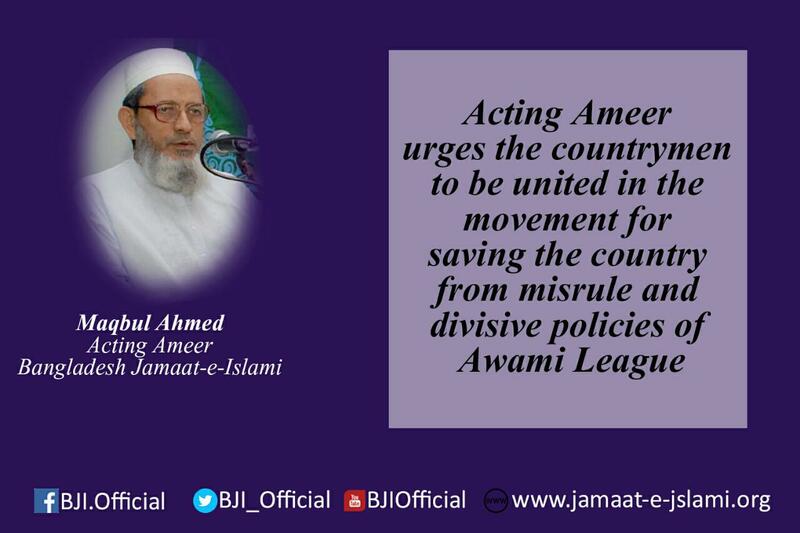 Awami League requested Jamaat to join a coalition government with it and offered some ministries. On the other hand, on behalf of BNP the then Secretary General Abdus Salam Talukdar sent a request letter to the acting Ameer of Jamaat Abbas Ali Khan to support BNP for forming government. According to party decision, on March 11, 1991 the then secretary General of Jamaat, Maulana Motiur Rahman Nizami along with Ali Ahsan Mohammad Mojaheed, Mohammad Kamaruzzaman and Advocate Ansar Ali handed over ‘Letter of Support’ to the interim President Justice Shahabuddin Ahmad. BNP and Jamaat nominated 28 and 2 female candidates for reserved seats for women; on March 28, 1991 they were declared elected without any contest. Jamaat’s female MPs were Hafiza Asma Khatun and Khandakar Rasheda Khatun. Government system initiated in 1972 was, in fact, parliamentary form. On January 25, 1975, with the fourth amendment of the constitution, presidential form of government was imposed; and continued till 1991. After fifth parliament election, political parties came forward with new judgment on government system. Presidential form of government is not an inefficacy system. This system is working successfully in USA. But in many developing countries, there are handful numbers of evidences that presidential forms can transform to dictatorial one. This form vests all powers of head of state and head of government to a single person that has every chance to transform into a dictatorship. On contrary, UK is practicing parliamentary form successfully for last hundreds of years. BNP had opted on presidential form of government; Begum Khaleda Zia had also biasness to presidential form. Awami League initially trust on parliamentary system but switched over to presidential form. Being refused by majority people in fifth parliament election, Awami League fell into awkward situation. It had no option but did agitation against government. Nothing was left on the table of Awami League to create an agitation against government but found only issue on restoration of parliamentary government system. It submitted a constitutional amendment bill before the parliament quickly. Liaison Committee of Jamaat met with the senior leaders of BNP on this issue and sited their argument in favor of the parliamentary form of government. Subsequently, the then Prime Minister Begum Khaleda Zia sat with senior leaders of Jamaat including acting Ameer for discussing the issue in bigger canvas. Begum Khaleda Zia, Abdus Salam Talukdar and Colonel (Retired) Mostafizur Rahman were acting Ameer Abbas Ali Khan, Ali Ahsan Mohammad Mojaheed and Kamaruzzaman were present from Jamaat. The meeting was ended without consensus on the issue when BNP stood for presidential and Jamaat argued for parliamentary form of government. Fortunately, on that night, BNP changed its stand and organized all procedures to submit a constitution amendment bill before the parliament about the issue. Combine movement of BNP, Awami League and Jamaat-e-Islami formulated a mass upsurge that ousted the military dictatorship of General Ershad in 1990. As an outcome, non-partisan interim government was established with Justice Shahabuddin Ahmed as president. This government ensured a free and fair election for the nation. BNP formed government with unconditional support of Jamaat who had 18 MPs in its basket. Interim government of Justice Shahabuddin Ahmed was not a caretaker government, although it is still known as first caretaker government. It was the responsibility of the BNP government made a constitutional provision of caretaker government system (CGS) but mysteriously BNP had apathy of it. Jamaat, Awami League and Jatiya Party separately submitted bills on Caretaker Government system (CGS) before the parliament but those bills were not tabled. This stand of BNP gave space to the opposition political parties to make a cool pan warm and hotter. Awami League and Jatiya Party started movement against the government for the caretaker system and Jamaat was political ally on this passage. Interesting was that BNP formed government with unconditional support of Jamaat; that Jamaat went against the government for CGS. Lastly, the movement got momentum and government failed to complete its five-year tenure. BNP government bound to arrange the sixth parliament election on February 15, 1996. Awami League, Jatiya Party (JP) and Jamaat boycotted the election. After that unusual election, BNP formed another government. Within two weeks, this government adopted the caretaker system in the constitution and handed over the power. On June 12, 1996, the seventh national election took place. During that election, Abdur Rahman Biswas was the president and Justice Muhammad Habibur Rahman was assigned as the Chief Adviser of the caretaker government. Eve of election, Awami League leader Sheikh Hasina went to Makkah for Umrah. He returned with religious gestures- attires of Ihram and Tasbeeh. In election campaign, she sought apologies to the nation for the past transgressions made her in 1972-1975 and she begged vote for her party. In this election, Awami League won 146 seats, BNP 116, Jatiya Party (JP) 32 and Jamaat won 3 seats. Maulana Delwar Hossain Sayeedi (Pirojpur), Kazi Shamshur Rahman (Shatkhira) and Mizanur Rahman Chowdhury (Nilphamari) were Jamaat MPs. It was Jamaat’s fourth time participation in the parliament election. Awami League formed the government with the support of Jatiya Party (JP) (Ershad). Bangladesh Nationalist Party (BNP), Islami Oikya Jote, Jaitiya Party (JP) and Jamaat-e-Islami (JI) formed a political alliance named as four-party alliance on November 30, 1999. These four parties met at 29, Minto Road to protect the country from Awami tyranny. Senior leaders of this alliance finalized a declaration paper and urged the mass people to generate strong protests against the tyranny of Awami League. On October 1, 2001, eighth national parliamentary election took place in Bangladesh. During this election, Justice Shahabuddin Ahmed was the president of and Justice Latifur Rahman was the Chief Adviser of the Caretaker government. Prior leaving power, Sheikh Hasina appointed her genuflected personnel in administration, police, election commission etc. In the eve of eighth national election surprisingly Hussain Muhammad Ershad left the four-party alliance. Under the leadership of Najiur Rahman Monju a sect of Jatiya Party (JP) remained with the four-party alliance. Both President Shahabuddin Ahmed and Chief Adviser Justice Latifur Rahman used their sagacity for a free and fair election. In this election, BNP won 193 seats, Awami League won 62 seats and Jamaat-e-Islami won 17 seats. Jamaat got another 4 seats from reserved seats for women. This is the fifth time for Jamaat to participate in the parliament. Prime Minister Begum Khaleda Zia appointed Ameer of Jamaat Maulana Motiur Rahman Nizami as Minister of Agriculture and Secretary General Ali Ahsan Muhammad Mojaheed as Minister of Social Welfare. Election downfall made Awami League leader Sheikh Hasina unrestrained. She was disconcerted as no blueprint worked according her arrangement when conscious voter casted votes against her party. She found all rose gardens were deracinated. She refused the result of election and accused the President, Chief Adviser, Election Commission (EC) and whole administration. Jamaat-e-Islami trusts in democracy. It is the only party in Bangladesh that practice democracy within all tier of organization. An organization that practice democracy within, how could it trust undemocratic norms for the nation? Party based on Islam that means peace; peace for self, society, nation, world, mankind and living beings; Jamaat stands against all sorts of violence, atrocities, subversive and criminal activities. Since its inception, Jamaat neither participate in any criminal activities nor support any of these. In present situation, Jamaat is bound to call strike but its action is peaceful and well-disciplined. World observed that police and Awami League workers opened fire to kill Jamaat workers but they never used weapon. Awami League came into power in a controversial and disputed election in 2009. Assuming power it started conspiracies against the country and the nation. It skewed the space for democracy. At first it seized political rights of Jamaat. Unofficially it banned meetings and programs of Jamaat and closed its central & local offices. Gradually government barred on domestic meetings of Jamaat. Senior leaders were taken into custody by making false accusation of different crimes. Government had and have hidden plan to make Jamaat activists violent and can show the world that Jamaat is a terrorist party. In this way Government wants an endorsement from world community so that it can kill, crush Jamaat and its activists. In-spite of facing all these obstacles and enmities leaders and activists of Jamaat did not take any means of crime and violence. In 2011, government did not allow Jamaat to come out with any political activity. In late 2011, Jamaat hold a procession in the capital city but police attacked on it. Many leaders and workers were severely injured, till then they maintained their nonviolent status. Jamaat do not use any weapon to overpower on inhumane police actions. Jamaat arranged a millions gathering in Shapla Square in Motijheel of the capital city on February 4, 2013 where police did not make any hurdle. World observed that Jamaat leaders and activists greeted with tuberose sticks to the members of law enforcing agencies. World recognized Jamaat’s encouraging attitude on democratic values. Awami League declared in the election manifesto 2008 that it would take to judicial process for the war criminals of 1971. International Crimes Tribunal Act 1973 by definition listed 195 war criminals, but tripartite agreement among Bangladesh-Pakistan- India they were released. Awami League Government with political intention brought amendment in International Crimes Tribunal Act 1973; it coveted to eliminate Jamaat-e-Islami. It established domestic courts in the name of International Crimes Tribunal with only target to annihilate Islamic organizations in covert of judicial process against Jamaat and its leaders. Total process was criticized by local and international communities for unlawful intention of government, weak legal framework, formation of Tribunals without endorsement of UN, politically motivated investigation activities, subjudicated prosecution team even the prejudiced judges of the Tribunals. International Crimes Tribunal had barred to access of International pleaders Crimes Tribunal, defence witnesses were took away by the law enforcing agencies and skype scandal put big question marks on the entire judicial process. United Nations (UN), different global human rights organizations and ICT experts were concern on all incredible activities. On February 28, 2013, this highly controversial International Crimes Tribunal announced death sentence to the Nayeeb-e-Ameer (Vice-chairman) of Jamaat-e-Islami Maulana Delwar Hossian Sayeedi. Everybody knows this is a false case with fabricated allegations. After announcement of verdict thousands of the devotees of Sayeedi came out on streets for demonstrating against this verdict of the tribunal. Police shoot at them and killed more than one hundred people in a day across the country. In couple of days, around two hundred and fifty people were killed and thousands got injured. Most of them were not involved in politics but they loved Sayeedi. They had a strong passion to him and were sensed that Awami League Government tried to kill him without any reason but Islam. Capturing power in 2009, Awami League government filed innumerable cases against thousands of leaders and workers of Jamaat-e-Islami (JI) and other opposition parties. It is craving for restoring one-party BAKSAL system in Bangladesh. It (BAL) omitted the long cherished caretaker government system (CGS) from the constitution. Awami League government arranged the 10th national election on January 5, 2014 keeping BNP, Jamaat and other opposition parties outside. 153 candidates won without contest. This so called election did not get any credibility either in Bangladesh or outside the country. Virtually it established one-party system in the country again. Freedom of speech, expression and media were diminished, final nullified; but interesting issue was that government claimed that people and political parties enjoying maximum freedom. Government controlled political activities of opposition parties even it sealed their party offices. BNP, Jamaat and twenty-party alliance announced a public rally in Dhaka on 5th January, 2015; but government did not allow; nakedly it stopped all public transports to counterfeit mass movability. Former Prime Minister and opposition leader Begum Khaleda Zia was locked in her office by Government. In the next day, a strike and country wide blockade is called by twenty-party alliance. Still both agendas are continuing. Government endlessly carrying killing and goom mission for eliminating oppositions. Political leaders and activists are taken away from homes for killing; propagates same fictitious story of gunfight and crossfire. Lucky people escaped with disability. Government agent and BAL activist burnt public vehicles; filed cases against opposition activists and proliferates these violent activities of BNP-Jamaat. Awami League, Jubo League, Chhatra League and government agent are killing people by petrol bombs, grenade, gun shot and lethal weapons. Many of the occasions ruling party leaders and workers are arrested with arms- petrol bombs; published in newspapers & online media of local and abroad. Government takes a strategy to establish the democratic movement of opposition as a violent and extremist one. Jamaat-e-Islami, from starting of its journey, practicing democracy in its internal process; discussed earlier. Jamaat trusts on democratic way to run the country. This party has successful participation in each local and national election and thus contributed in the politics of the country. Jamaat also trusts on rule of law, transparency and accountability. Jamaat Ameer Maulana Motiur Rahman Nizami and Secretary General Ali Ahsan Muhammad Mojaheed were incharge of different ministries with unquestionable integrity, full transparently and accountability.